What an amazing All Star Weekend it was. The Rising Stars showed us what the Future of the NBA is going to look like. The 3 point shootout and Dunk Contest had their surprises and the All Star Game itself was close and entertaining the whole 4 quarters. Big names stepped up big when the time presented itself. Players like Kevin Durant, LeBron James, Carmelo Anthony, Kobe Bryant and Chris Paul left a hell of an imprint on last night's game. Kevin Durant has the highest Points per game average in All Star Game History. Lebron James dazzled the crowd with some dunks and play making. Carmelo Anthony had a great game for the East, which if they would have won he would've easily been the MVP of the Game. Kobe Bryant had tons of assists and some clutch defensive stops on LeBron James and Chris Paul was the brightest star of them all by getting his First Ever All Star Game MVP trophy.Above is a mini movie and some great highlights of the game. Great way to end the weekend's festivities now every team gets back to business and you already know is Lake Show All Day. Hopefully the second half of the season will turn the team around and lead them into the playoffs. 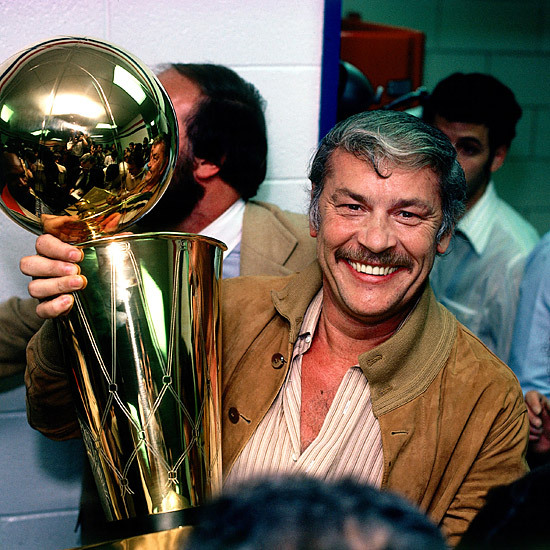 PS: On A sad note, Jerry Buss, The Lakers Owner for the last few decades has passed away from his battle with Cancer. Being a Lakers fan, my heart goes out to his family. He will be truly missed. Labels: 2013 All Star Game, All Star Game, All Stars, Basketball, Carmelo Anthony, Great game, Jerry Buss, Kevin Durant, Kobe Bryant, Lakeshow, LeBron James, NBA, Nike, Playoffs, rest in peace, Sad day.